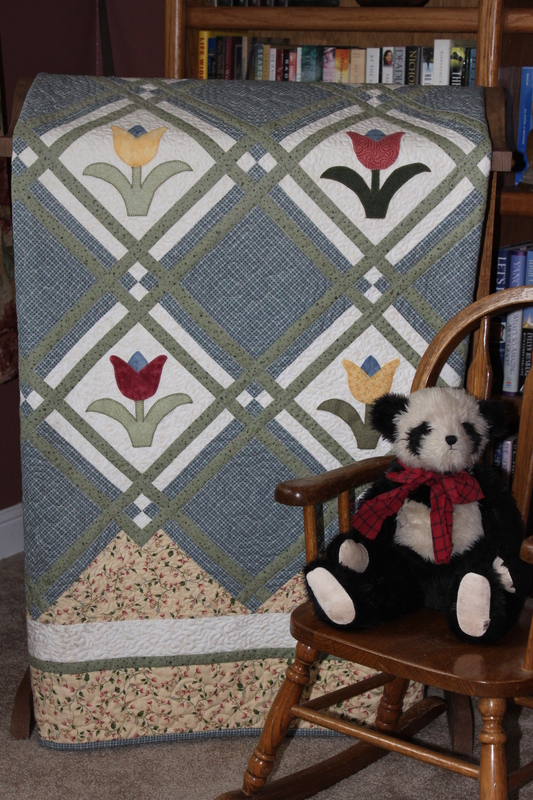 This quilt was one of my first quilts that I hand quilted. I found the pattern in the October 1996 issue of American Patwork and Quilting magazine. This is one from the quilt book, Anka’s Calendar of Quilts. This was the first quilt I made entirely on my Bernina 640. This is another pattern that I found in a magazine. I am unable to tell you which magazine, because I can’t find it yet, I’m sure it will turn up though! It reminds me of our cabin. I have a blog post about this one here. 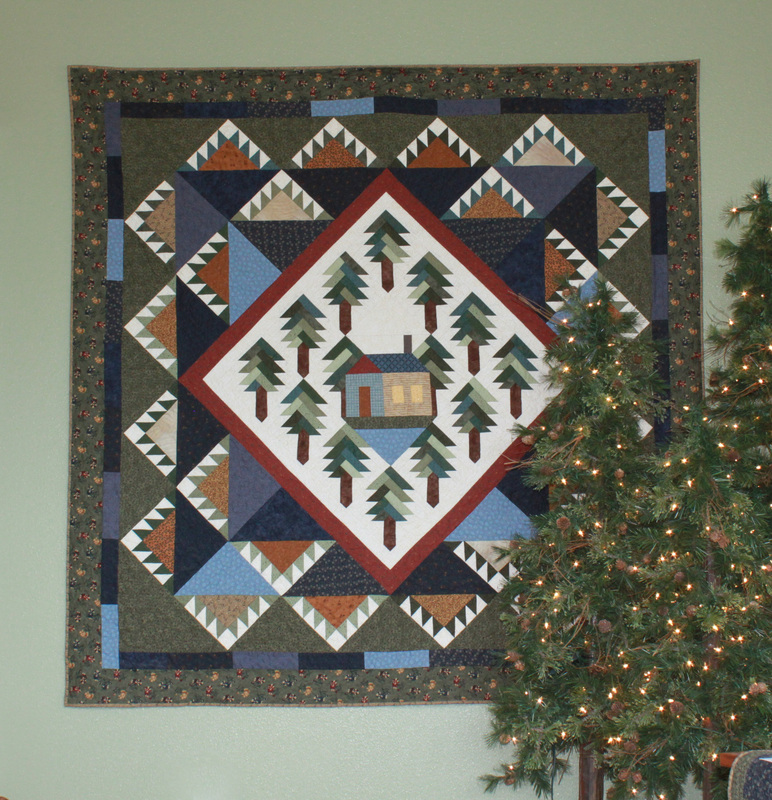 This quilt is appliqued with ‘steam a seam’ and then machine stitched with a blanket stitch. I machine quilted it on my bernina frame with my machine.